3 Bedroom Semi Detached House For Sale in Luton for Guide Price £375,000. This fantastic chain free semi-detached family home is located on the desirable Alexandra Avenue just off New Bedford Road. This spacious home comprises of an entrance hallway, refitted kitchen with built in appliances, living room, a separate dining room and off road parking. To the first floor there are three generous sized bedrooms and a modern family bathroom. Externally there is parking at the front and a very well maintained rear garden mostly laid to lawn. 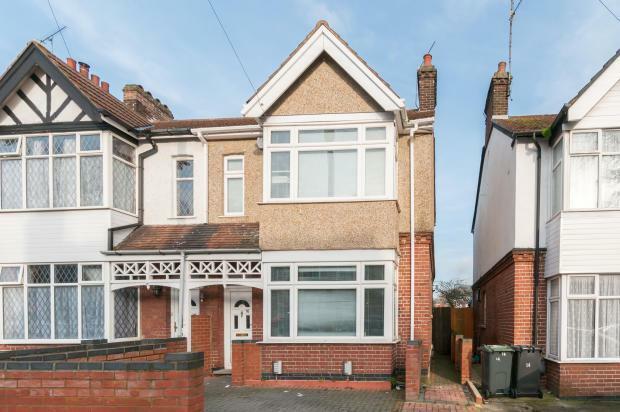 This property would make a perfect family home as it provides great living accommodation it is also conveniently located in relation to great schools, shops, the University of Bedfordshire, Luton Town's mainline train stations and junction 10 and 11 of the M1.